Speaking of Flipper… When I listen to them, I tend to go into a bit of a predictable mental playlist which inevitably includes a listen or two to Punk Rock Girl, the finest Dead Milkmen song ever and probably one of my favourite singles ever, period. Hyperbolic? Not even! It truly is. I’ve written about them on here (well, the old version of here) a million billion times and here it is again, for old time’s sake. Anyway this post isn’t just in praise of Dead Milkmen. Nuh-uh, it’s investigative. In the old days, when Joe sang about Minnie Pearl I didn’t have a clue who he was talking about. Nor did I care. A while ago I was curious and Googled her, but today I came across a really nice new (old) picture of her that I wanted to share. 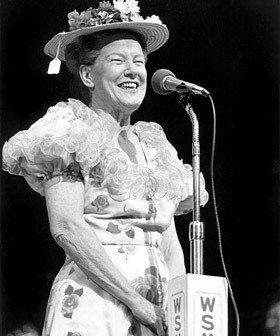 Minnie Pearl, for the uninitiated, was an American country comedienne who used to perform at the Grand Ole Opry. As well as being funny and sweet, she was famous for wearing a straw, flower-covered hat which had a $1.98 price tag hanging off it. She kept it real, yo. She’s most probably remembered as looking like this. You can watch loads of videos of her on YouTube, wearing her usual hats and really kinda OTT Southern Belle gowns. Awesome. Anyway, the picture at the top is one I found today. Oooeee (pig noise), doesn’t she look good? Love that frilled collar and the little elegant boater! Next week’s lesson: Just who is Mojo Nixon? 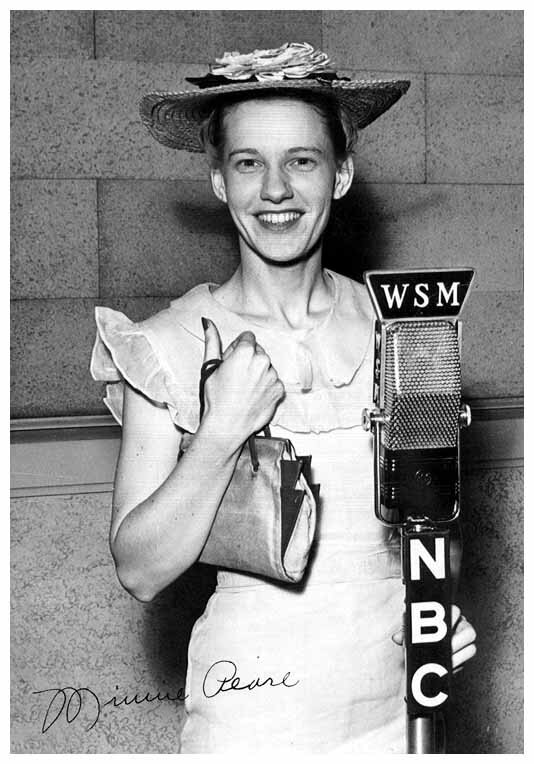 i always wanted to know who minnie pearl was (but never googled her for some reason). thank you! I’m here to help. She’s awesome!